Write down daily in a notebook your Ishta Mantra or Guru Mantra for half an hour. When you write the Mantra, observe Mouna. Write the Mantra clearly in ink. On Sundays and holidays, write this for one hour. This is Likhita Japa You can develop a wonderful power of concentration. The benefits of Mantra-writing or Likhita Japa cannot be adequately described. Besides bringing about purity of heart and concentration of mind, mantra-writing gives you control of Asana, control of Indriyas, particularly the sight and the tongue, and fills you with the power of endurance. You attain peace of mind quickly. By prolonged and constant practice the inherent power of the Mantra (Mantra-Sakti) will be awakened, which will fill your very existence with the Divinity of the Mantra. In Mantra writing, there is no restriction about any particular script. It may be written in any language. Thanks Nagaraj for sharing the Likita Japa advice of Swami Sivananda . Just now returned from Rishikesh after a spiritually refreshing trip for 10 days . Went to Sivananda Ashram on Tamil New Year and Sri Ram Navami and participated in the Sri Ram Navami function there and got for my mother a book called "Japa Yoga ( in Tamil ) by Swami Sivananda " which was autographed by the Current head of Sivananda Ashram Swami Vimalananda and this Likita Japa message is there in that book in Tamil after reading your post I was reminded of this wonderful coincidence . Nice to know you had been to Hrishikesh and was blessed to stay in the sacred lap of Mother Ganga and moreso, in such an auspicious time of new year and Rama Navami. Last year i also got to spend about 8 9 days at Hrishikesh and visited Swami Sivananda Ashram few times. Absolutely what a divine place it is. Before my visit, j had only read in books and heard hearsay about the sanctity of Mothet Ganga. But experienced it for real only when I was there. We also visited Vasishta Guha, a must visit place, it is a cave where Vasishta is said to yo have spent some time in deep meditation and we could visit few other places. Nice to know you got japa yoga book blessed by Swami Vimalananda and the conincidence here. Likhita japa is perhaps the least mentioned or least popular among various other methods in terms of its efficacy to engage the mind in Sat-Karyam or Sat-Sangam (to be in the company of Sat). But it is, in my experience, a great superior sadhana to engage the mind body and soul in tune with the 'Sat' itself. Many should be encouraged to take this up as it is is relatively easier and has no special rules and easily purifies oneself. Talking about Ramayana. I felt, the 24000+ shlokas composed by Sage Valmiki has only one meaning, it is 'Raama' what a beautiful two letters are they. They also are thw first 2 letters of Ramana and Ramakrishna. Ra extracted from ashtakshati on namo naratanaya and Ma extracted from panchakshari Om nanah Shivaya. Both ashtakshari and panchakshari are rendered meaningless without these two letters Ra Ma. Infact their meaning are rendered as amangalam. Na-ayanam and Na-Shiva. These two letters Ra Ma is so great. they are said to be the heart of panchakshari and ashtaksgari. Raama itself is Brahma Vidya. Raama itself is the Supreme Self and what cannot be gained by doing Likhita Japa of such great mantra. We keep flowers atop the pictures of Gods and Goddesses and Guru in our Puja Altar. Sometimes when the Lord is very pleased with our devotion He raises his hand above and pushes the flower as a token of acknowledgement of him being pleased and showers blessings in the form of flower Prasad. first was Sri Atmavichar's post on Likhita Japa blesed by Swami Vimalananda. Now Sri Ravi has shared a beautiful trasure, a snapshot of Annamalai Swami's letter advising the Likhita Japa. Again the Lord raisinv his hand above and pushed another flower :-) blessing us yet again. Please find the picture as ATTACHMENT (i shall try and paste the picture directly at leisure) and find below a rough translation of the same in English. Thanks for sharing the note of Sri Annamalai Swami regarding likita Japa of "I AM NOT THE BODY , I AM NOT THE MIND/THOUGHTS" . In Sri Nisargadatta tradition also a similar mantra is given as initiation for those who need and the devotees are asked to do japa of the same for many years so that subtle teachings of ATMA JNANA slowly sinks in . Also in Sandhyavandanam we repeat the mantra "ASAVADITYO BRAHMAN , BRAHMAIVAHAM ASMI " which also reflects the same only that in our hurry to complete the sandhya vandanam it becomes a mechanical act and we loose the significance of the same . BTW Sri Annamalais Swami before coming to Bhagavan met Kanchi Mhaswamigal who asked him to chant /write the Mantra SIVAYA NAMAH and Annamalai Swami wrote it a lakh times and that sadhana helped him to come to Bhagavan and he ended up staying in Thiruvanamalai . Mental Japa ,Likita Japa has its own power only that we need to do it sincerely with feeling and bhava and not rush in to complete a quota . In this regard I wish to share an interesting incident with regarding to writing Sri Rama Nama by my mother and that incident happened during our recent visit to Rishikesh . Since you talked about Ramayana in your earlier post I was reminded of that incident and will share here later . When you chant 'Hare Rama' or 'Gopala Gopala,' don't just join in with the crowd. 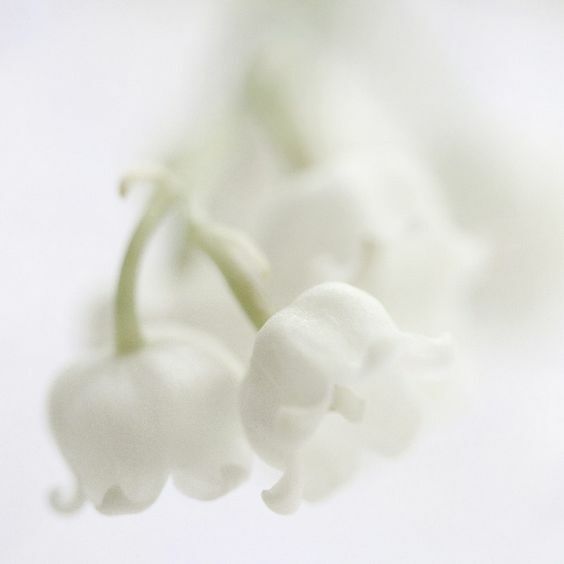 These words can slowly, slowly transfer emotion into devotion. It is not just in a day or two, but gradually it will wean your mind away from these external objects... It is a slow process and the best method is kirtan. Other disciplines are there -- Jnana Yoga discipline, Raja Yoga discipline... But even if you are a Raja Yogi or a Jnana Yogi, kirtan is the most important thing to conquer your mind. Do not sing with your mouth; sing from your heart. Dissociate from everything and associate with the Supreme Being." Note : Swami Vishnu devananda is one of the senior most disciples of Swami Sivananda who found the SIVANANDA YOGA VEDATNTA CENTRES WORLD WIDE and author of the best sellers "A Complete Illustrated Book of Yoga " , "Meditation & MAntras " . I received all my practical training in Yoga through this Organization and so consider him as my Yoga Guru . I saw in him something quite arresting which clearly distinguished him from all others I had seen. He seemed to live apart from the physical frame, quite detached from it. His look and smile had remarkable spiritual charm. When he spoke, the words seemed to come out of an abyss. One could see immaculate purity and non-attachment in him and his movements. I sensed something very refined, lofty and sacred about him. In his vicinity the mind?s distractions were overpowered by an austere and potent calmness and the unique bliss of peace was directly experienced. This I would call Ramana lahari, ?the blissful atmosphere of Ramana.? In this ecstasy of grace one loses one?s sense of separate individuality and there remains something grand and all-pervading, all-devouring. This indeed is the spirit of Arunachala which swallows up the whole universe by its gracious effulgence. There were about ten devotees living with him there, including his mother and younger brother. One of them was Vallimalai Murugar, who for a while every morning sang the Tamil songs of the Tirupugazh with great fervour. These well-known songs, the remarkable outpourings of the famous devotee, Sri Arunagirinatha, are songs in praise of Subrahmanya. When he sang, Bhagavan used to keep time (tala) by tapping with two small sticks on the two rings of an iron brazier of live coal kept in front of him. Fumes of incense spread out in rolls from the brazier, suffused with the subtle holy atmosphere of Bhagavan. While Bhagavan?s hands were tapping at the brazier thus, his unfathomable look of grace gave one a glimpse of the Beyond in silence. It was an unforgettable experience. There was also a devotee from Chidambaram, Subrahmanya Iyer, who often sang with great fervour Tiruvachagam, hymns in praise of Arunachala by Bhagavan, and songs in praise of Bhagavan also. One morning when he began a song with the refrain, ?Ramana Satguru, Ramana Satguru, Ramana Satguru Rayane,? Bhagavan also joined in the singing. The devotee got amused and began to laugh at Bhagavan himself singing his own praise. He expressed his amusement and Bhagavan replied, ?What is extraordinary about it? Why should one limit Ramana to a form of six feet? 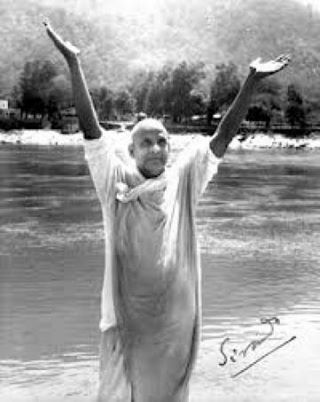 Is it not the all-pervading Divinity that you adore when you sing ?Ramana Satguru, Ramana Satguru?? Why should I not also join in the singing?? We all felt lifted to Bhagavan?s standpoint. There is no thought or aspiration which cannot be fulfilled if only it is sincere and strong enough. Charcoal gets some time for burning so is the aspirant with a Rajasic mind. He has to do severe Sadhana and purify himself before he attains God-realisaton. Namasmaran or constant remembrance of the Lord is the only easy Sadhana for God-realisation.